This is the Church writing to you. We have been trying to reach you for decades, although admittedly with little to no success. We have tried all kinds of methods to connect with you. We have dumped our traditional service, fired our organists and replaced them with a praise band leader and more edgy music. Still, you do not come. We have put away our suits and ties and dress more casually, yet you still do not come. We have moved our worship service out of the sanctuary into the gym, added mood lighting changed worship time to later on Sunday, and still, you do not come. We have abandoned the assigned Scripture readings for Sunday and replaced them with sermon series more in touch with today’s challenges and you know what happened? You still did not come. So this is an open letter to Millennials with a simple plea. Help us figure you out. Maybe this letter could appear in your local newspaper as you feel this frustration. How do we reach what some have called the “Lost Generation?” I pray this blog today will give you some insights. It is based on some very telling research from the Barna Group. Nearly six in ten (59%) of young people who grow up in Christian churches end up walking away from either their faith or from the institutional church at some point in their first decade of adult life. About one-quarter of 18- to 29-year-olds are practicing Christians, meaning they attend church at least once a month and strongly affirm that their religious faith is very important in their life. A majority of Millennials claim to pray each week, one-quarter say they’ve read the Bible or attended a religious small group this week, and one in seven have volunteered at a church in the past seven days. So in good Lutheran fashion what does this mean? Make room for meaningful relationships. The first factor that will engage Millennials at church is as simple as it is integral: relationships. My ministry twin Mike Mast would love this. He talks to congregations all the time about the fact that if you want to connect with those outside your walls you have to build relationships with them. Sounds simple, right? Yes and no, because the type of relationships Millennials seek is to develop a close personal friendship with adults in the church. If that kind of deep relationship is formed the studies show that fifty-nine percent (59%) of Millennials will stay at that kind of congregations versus thirty-one percent who are no longer active in a congregation. So the coaching questions for you Frustrated Church is: What systems do you have in place or could develop to create and environment where deep relationships can be formed? I remember working with a call committee who wanted diversity in their team so that added a millennial. As we were discussing what they wanted in their next pastor an OWL (Older Wiser Lutheran) said, “We have to make sure this next pastor is against gay marriage.” The millennial responded, “I don’t see anything wrong with gay marriage because you love who you love.” Boom goes the cultural clash of values. Barna’s study found that Frustrate Church needs to provide a vehicle to help Millennials navigate this strange new world of post-Christian values. So it is important that one of the ministry outcomes is to help today’s Millennials to develop discernment skills, especially when it comes to understanding and interpreting today’s culture. To better serve this generation that is lamenting the complexity of life, the Frustrated Church can provide clarity to this frustrated generation. Millennials need help learning how to apply what is in their hearts and minds to today’s cultural realities. 3. Make Reverse Mentoring a Priority. The Frustrated Church often talks about the leaders of the future. In other words, when I am too old and tired to serve who will take my place? So often the thinking behind that statement is we need some “youngins” to join so we can step down. The Barna Group has learned that an effective ministry to Millennials involves understanding that young people want to be taken seriously today— and not just seen for some distant future leadership position. So how does the Church make room for them to lead now? However, this is the kicker, Millennials don’t want to necessarily lead our Church structure they want to lead a Church that is making an immediate, transformational impact in the community around them and the world. So the idea of sitting in meetings three or four times a month is not what they have in mind. A meeting to plan a community event? Now you’ve got something. 5. Facilitate connection with Jesus. Finally, Millennials look to the church to generate a lasting faith by facilitating a deeper sense of intimacy with God. For those in the church who argue they want a watered down version of God’s truth, no. Millennials seek a deeper connection with the crucified and risen Savior. The challenge to the Frustrated Church is: “How do we take them on a deeper spiritual journey?” “How do we create a worship, Bible Study, fellowship culture that leads to a more in-depth, intense, relationship-forming connection with Jesus? A tough challenge I would say, but boy would that be an exciting opportunity not just for Millennials, but for every Christian who currently sits in the pews? So Frustrated Church all is not lost. I would say what the lost generation is seeking, we already have, Truth, Relationships, a sense of Calling and a deeper connection with the Savior. They want we all want, to be a better disciple in this age. So Frustrated Church, all is not lost. I would say what the lost generation is seeking, what we already have: Truth, Relationships, a sense of Calling and a deeper connection with the Savior. They want what we all want, to be a better disciple in this age. Now if we can just get the churches to look in the mirror with their glasses on, and want this group because they are children of God, and really love them and bring them closer to Jesus. Rather than any other reason(s). The ‘reverse mentoring’ takes on another dimension as well I feel. A millennial mindset is to be involved in something important. 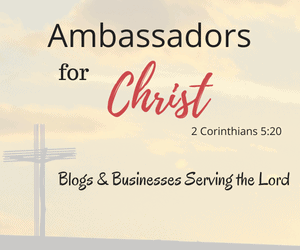 By inviting them into the discussion about how to reach them and their unchurched peers we are inviting them into the importance of Christ’s mission. It creates more ownership for them and hopefully more love for those who don’t know Christ. That too conveys something to the unchurched. Its their peers and not just the stodgy ‘frustrated church’ that is caring for them. The importance of cultural discernment (as you talk about) is an important component of this feedback too but with the cultural of the millennial changing as fast as it is, they need to be leading us in how to speak relevantly. Relationships are so important in life, not just in the Church, as you know. Relationships create community, and as the community grows, more people learn about Jesus and get to share Jesus with others. For me, Jesus tells me to love others, period. He doesn’t say just love people like you or people you like, but ALL people. I know many people, of all ages that have been “hurt” by churches, for many reasons, some unintentionally and do not feel the Church represents Jesus. I know for a fact God doesn’t care what I look like or what I wear to go to His House. He doesn’t care if we sing Hyms of Praise or Praise and Worship songs, what he cares about the most is that we choose to follow Him and live our lives in the best way we can, Praising Him, Talking to Him (Praying) and Trusting Him. It is a scary fact that so many young people do not find joy and peace within the walls of the Church building and when they don’t find love and acceptance by the Church (the body of believers), it’s easy to walk away. Everyone knows, if they are truly a follower of Jesus Christ, that Loving God and Loving Others are the most important commands Jesus gave. It really is simple. People make it complicated. Great insight. We say it all the time it’s about relationships. Well done, Keith! Thinking of those times when Jesus got away with the disciples, and those journeys with them from town to town, where he took time to teach that small group & build the disclple/master relationship. Thank you Paul. Funny how effective ministry always leads us back to what did Jesus do? I really enjoyed reading this. Thank you for posting about the millennial generation and the statistics… it really saddens me that this is the percentage. I was just talking to a friend the other day about how I know so many of my fellow Evangel classmates that grew up in a christian home, went to a christian school and I really felt like they were strong leaders, who are now either no longer serving God or more… picking and choosing the things of scripture to make up their own faith and beliefs. I am also pretty startled at churches who longer are speaking the truth.. speaking and preaching the Bible, but instead they are changing things to make it easier for the congregation to hear or to make it more accepting for others to come. We should be loving people and we should be focused on relationships, like you said. The millennial generation wants to know that they are needed and wanted and that they have a voice within a group of people. I really think relationships are the things that will help bring others back… a friend talking to a friend, not a stranger talking to someone seeing their ways and judging them. Thanks for your perspective and insight… keep it up! It is sad that many churches have watered down the message to attract Millennials. That don’t want less truth they want truth that speaks in a relevant way to today’s issues. More on this important group is ahead. Thanks for reading. Yes! For real! They need to hear the real truth.. there are so many relative truths out there now a days! Excited to read more! So true, the message should never be watered down for any one. It sounds as though the Millennials are pretty smart. While many of us as Christians know the Words of the Bible, not all of us live out those Words in our daily lives. Maybe if we were living more according to how God wants us to live, fostering kind relationships with one another, living like the example Jesus set for us when He walked on this earth….maybe it would be more attractive to the Millennials?? It’s truly hard to know how to solve this problem, but the Bible does say that the last days would be like in the days of Noah, so perhaps we are just edging ever closer to those days, and we know that only a handful were saved at that time.